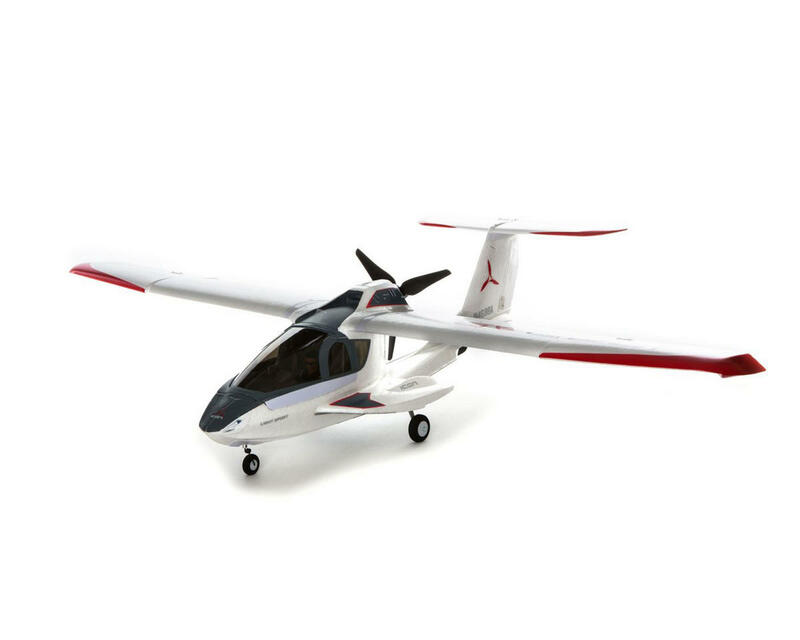 The E-flite ICON A5 Plug N Play Basic Electric Airplane park flyer makes it easy to discover the thrill of amphibious flight.This Plug-N-Play version comes with a powerful brushless motor, ESC and servos installed. All that's left for you to do is complete a little final assembly, install the receiver, charge a battery and fly! 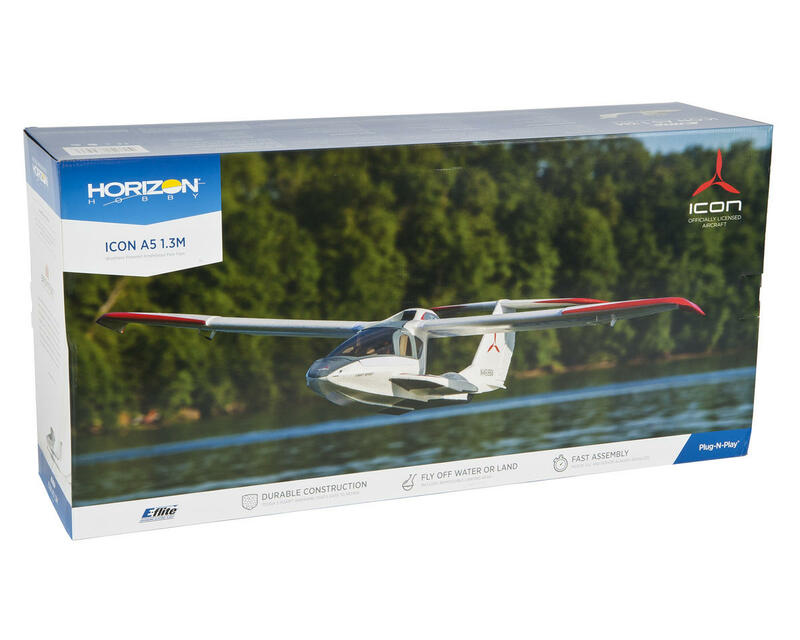 Officially Licensed by ICON Aircraft: The officially licensed airframe and trim scheme are based that of the full-scale aircraft. Integrated Hull with Removable Landing Gear: One of the distinguishing features of the ICON A5 is its integrated hull and Seawings design that makes water takeoffs and landings remarkably easy. The model’s hull has been designed so that it not only looks realistic but provides the same pilot-friendly handling on the water as the full-scale version. If there’s no water around but you have a suitable patch of pavement, bolt-on landing gear with a steerable nose wheel is included so you can fly almost anywhere. Big Battery Hatch with Cockpit Details: The entire cockpit section is magnetically secured and easily removed for unfettered access to the model’s spacious battery compartment. The cockpit itself boasts a tinted windshield, painted pilot figure, seatbacks and an instrument panel. Durable Z-Foam™ Airframe: The airframe is constructed of tough Z-Foam material that is inherently water resistant and can handle the demands of amphibious flying.